Eventually, the Conseil d'État did not impose a radical interpretation of secularism to France, and confirmed that nativity scenes can be exposed in public buildings for Christmas. The ECLJ welcomes this decision which adopts an inclusive and positive interpretation of secularism, respectful of traditions and of the feelings of the French people. The ECLJ underlines the fact that the decision of the Conseil d'État fits perfectly in the line adopted by the European Court of Human Rights in the famous “crucifix case” (Lautsi v. Italy case) which is an authoritative judgement in Europe on the question of the presence of religious symbols in public space. In the Lautsi case, about twenty European countries had gathered to support the legitimacy of the crucifix in classrooms in Italian public schools. Overturning a first judgment which was against displaying the crucifix, the Grand Chamber of the European Court had finally admitted that the presence of the crucifix does not violate human rights. It had considered essentially that in countries of Christian tradition, Christianity possesses a specific social legitimacy which distinguishes it from other philosophical and religious beliefs and that justifies that its symbols can legitimately have a predominant visibility in society. The European Court had also judged that the presence of a crucifix is not enough, in itself, to violate the right to freedom of religion of people who are not Christians (see here for a more precise interpretation of this case). For the ECLJ, the distinction between religion and politics is a basis of the European and “Christian civilization” and is a happy exception in the history of mankind. To reject the “Christian civilization” will inevitably lead to mixing up politics on the one hand and religion or the ideology which stands as a religion on the other hand. Secularism is an ideology which, as regards religion, mixes with politics and in the end causes the mix of genres that it denounces. Faced with this, the European Court, in the Lautsi v. Italy case, usefully underlined the fact that “secularism” is also an ideological choice which is not neutral. 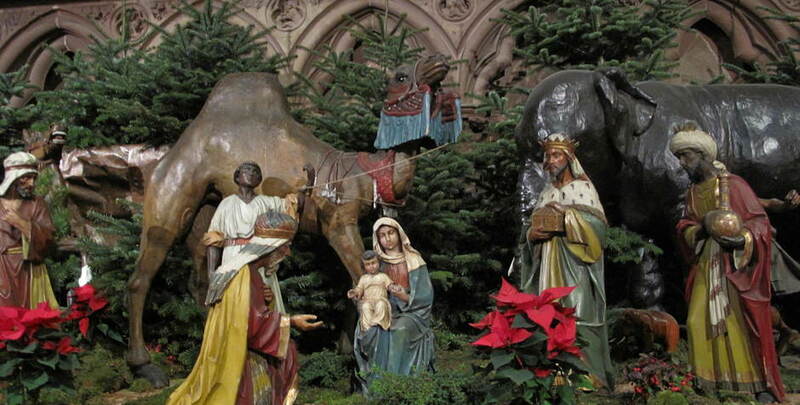 Hence, it would be far from more “neutral” to prohibit nativity scenes or crucifixes than to leave them, when their presence is rooted in the tradition of the country. Finally, one must emphasise that the recognition given by society to a historical or majoritarian religion does not necessarily imply the negation of the freedom of religion of people outside of this religion; it only implies to accept that freedom of religion, like any other freedom, is to be exercised in a given cultural context.